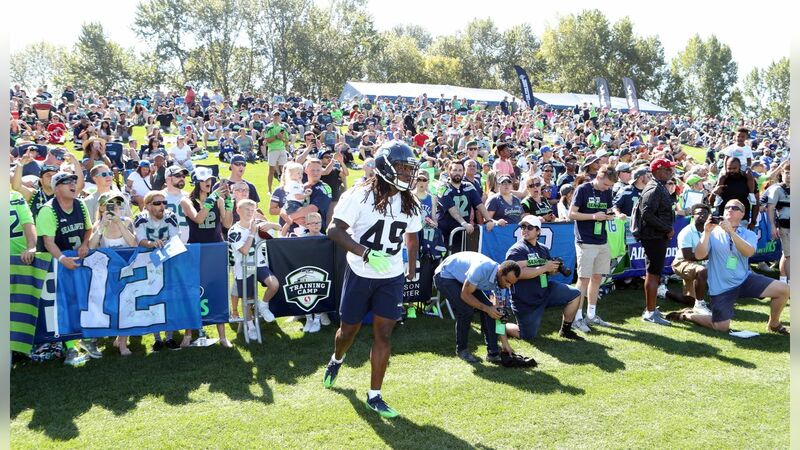 Shaquem Griffin spent his rookie season with the Seahawks not just learning the ins and outs of being an NFL linebacker, but also providing inspiration to so many people who have been moved by his story. But being an inspiration is nothing new to Griffin, who became a star at UCF prior to becoming a fifth-round pick in last year’s draft, and as a result he received the NCAA Inspiration Award on Wednesday in his hometown of Orlando. Griffin, who had his left hand amputated when he was 4, has spent his entire life proving people wrong, and in 2016 he was named the American Athletic Conference’s Defensive Player of the Year. In 2017, he helped lead the Knights to an undefeated season. After a breakout performance at the NFL Scouting Combine, Griffin was picked by Seattle in the fifth round of last year’s draft reuniting him with his twin brother, Shaquill, with whom he had been teammates throughout his entire football career prior to 2017. As a rookie with the Seahawks, Griffin started one game at weakside linebacker in place of an injured K.J. Wright, and was a core special teams player, recording seven special teams tackles. He plans on using this offseason to get himself ready to take on a bigger role in 2019. The NCAA Inspiration Award might not end up being Griffin’s only award this offseason. He is also a nominee for Sports Story of the Year at the 84th annual Sports Star of the Year Awards put on by the Seattle Sports Commission. Fans can vote for Griffin, as well as receiver Tyler Lockett, who is up for Male Sports Star of the Year, by clicking here.